In celebration of Professional Pet Sitters Week, APSE was thrilled to spotlight and honor six of our members that define the role of professional pet sitter. Before getting a chance to hear each story, I couldn’t anticipate the variety of incredible lengths pet sitters will take to assure a safe, happy and healthy pet. My biggest goal for this series was simply to debunk the myth that just anybody with a love for animals could successfully become a pet sitter. Can’t Anybody Watch A Pet? Sure, anyone could be asked to stop into a neighbor’s home once a day to change the water and fill the food bowl, but as evident in each of the six stories, there is plenty more that could go desperately wrong. And without a professionally trained and educated pet sitter at the reigns, it’s safe to say that some of the pets featured in their stories might not be around today. 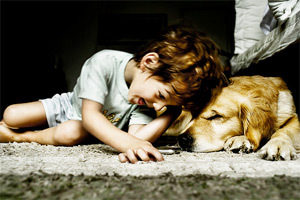 It’s also heart-warming to learn that while bonding with each pet is a given, many professional pet sitters find themselves welcomed in as part of the (human) family. This can only be achieved by being a loving, caring and respected individual. Our hearts go out to the many thousands of people and pets in Japan this week affected by last week’s earthquakes, and tsunami. 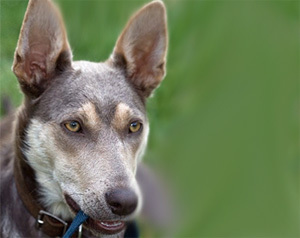 At the APSE we felt the need to contribute to the relief effort and have chosen to offer our support by encouraging pet sitters to donate to the National Disaster Search Dog Foundation (SDF). 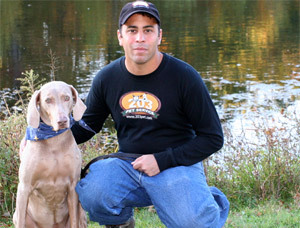 The National Disaster Search Dog Foundation, a non-profit founded in 1996, was formed to partner rescued dogs with firefighters and first responders. Their mission is to find people buried alive in the wreckage of disasters. 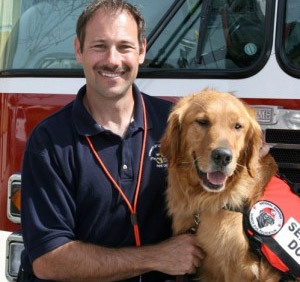 They provide trained canines to fire departments at no cost, and provide lifetime care for each dog. The SDF currently has 74 trained search teams in the US that have been part of 75 deployments including the World Trade center attacks, Hurricane Katrina, the Haiti disaster, and now the Japan earthquake disaster. Six SDF Canine Disaster Search Teams were deployed to Japan on March 12th and will be traveling to the devastated Ofunatio City area on the North East coast of Japan where the skills of the canines are critically needed to use find people trapped in the rubble. Jason has an aura and energy that puts even the ‘meanest’ of dogs at ease. Jason brings a suitable and varied background to the table, where one specific volunteer job he held in high school helped him turn what could have been a tragic day into a close call. He lives simply by the philosophy, “If you do what you love, you will be successful and truly happy” and it’s clear Jason is both. In this episode of Super Hero Sitters, Jason shows the importance of observing every little detail while on a job, and taking appropriate action when necessary. In this case, three dogs’ lives depended on it (image below). This episode is part 5 of 6 in the Super Hero Sitters series in celebration of Professional Pet Sitters Week. Here we have Bella Vasta. Bella is one of the hardest working women in the business. 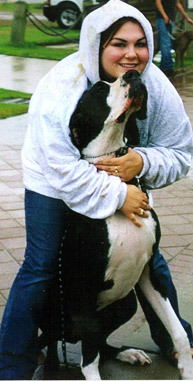 She created Bella’s House & Pet Sitting in 2002 – directly after college – and quickly succeeded in becoming a full service pet sitting business. Her entrepreneurial spirit has turned ‘Bella’s’ into the recipient of the 2007 National Pet Sitting Business Of The Year Award. She knows how to network and has been interviewed on countless shows including NPR and Martha Stewart’s Cat Chat Radio airing on Sirus Satellite Radio. As evident in this episode of Super Hero Sitters, Bella shows us the real reason her pet sitting business is a leader in the industry. This episode is part 4 of 6 in the Super Hero Sitters series in celebration of Professional Pet Sitters Week. Say hello to Jan Brown. Jan Brown is one of those rare individuals who exudes warmth on a consistent basis. From the moment you speak with her, you are immediately set at ease and feel you are in good company. Respected by her peers, Jan has been pet sitting longer than most teenagers have been alive. She opened shop in 1996 on a part time basis, went full time two years later, and has never looked back. 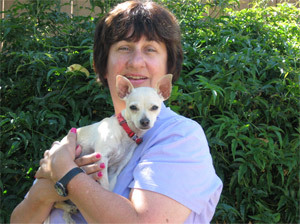 Jan’s Pet Sitting was voted 1st Place Readers’ Choice “Pet Care Service” in the San Mateo Daily News (California) in 2005. In this episode of Super Hero Sitters, Jan’s worst nightmare comes true when she enters the house of a client’s two dogs and can’t believe her eyes. 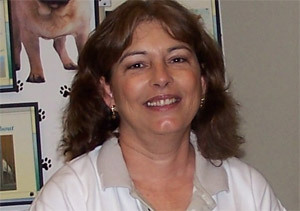 Luckily, she is a certified PetTech® Pet First Aid/CPR instructor and quickly saved the day. This episode is part 3 of 6 in the Super Hero Sitters series in celebration of Professional Pet Sitters Week. 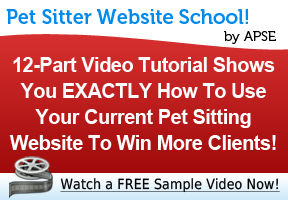 Many in the pet sitting industry are already quite familiar with Miranda because of her commitment to freely share her knowledge with sitters across various communities. Her journey to become a professional pet sitter is unique and began after spending more than two decades in the U.S. Military (details inside the recording). The story Miranda shares is nothing short of beautiful. It takes place over the course of 4 years, involves growing close to her (human) client, Jim, who underwent 13 surgeries for cancer, and ends with successfully fulfilling a promise she made months before Jim passed away. In this episode of Super Hero Sitters, Miranda redefines the role of a professional pet sitter. This episode is part 2 of 6 in the Super Hero Sitters series in celebration of Professional Pet Sitters Week. Say hello to Tori Lattig. Tori and Megan Ventura, her friend since childhood, found themselves working together at a local animal hospital. As luck would have it, an opportunity presented itself for the two to transition perfectly to become pet sitters. 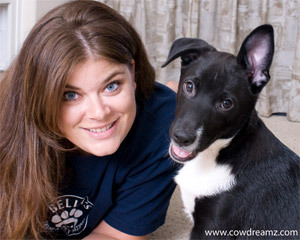 In March of 2007, Tori and Megan officially opened for business by creating Endless Pawsibilities – a full service pet sitting business in New Jersey. With a vast combined background in dog obedience, training and animal rescue, these two ladies truly encompass the pet sitting professional. In this episode of Super Hero Sitters, Tori tells of a story where “going above and beyond” is an understatement. This episode is part 1 of 6 in the Super Hero Sitters series in celebration of Professional Pet Sitters Week. 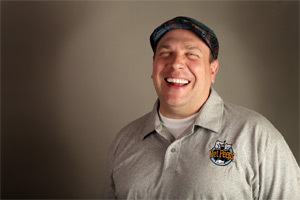 Gus is the Principal and Pack Leader of Pet Peeps located in Washington, DC. From the moment you hear Gus speak about his journey into the pet sitting industry, it becomes quite clear that he is passionate, genuine and quite determined to provide his clients with unparalleled service. It’s no surprised that Pet Peeps was named by readers of Washingtonian Magazine as one of the best pet sitting and dog walking companies in town. In this episode of Super Hero Sitters, Gus recounts the story of one snowy winter afternoon that he’ll never forget. 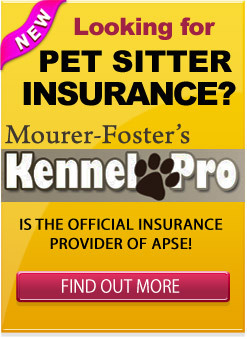 In honor of Professional Pet Sitters Week (March 6 – 12, 2011) we are spotlighting the professional pet sitter in a way not often seen. Or the emergency room doctor who drops everything when the unexpected calls and has but one goal in mind…. The professional pet sitter, too, is a special hero. Each day throughout Professional Pet Sitters Week, you will meet a different pet sitter and hear their personal heroic story. Of course, no pet sitter considers any of this heroic, but rather all part of the job and all carried out without a second thought. Now that deserves some recognition and some gratitude. The tarantula is a large hairy tropical spider with fangs that can inflict painful but not highly venomous bites. As much fear as they instill in some, others welcome the chance to own and care for these often misunderstood creature. 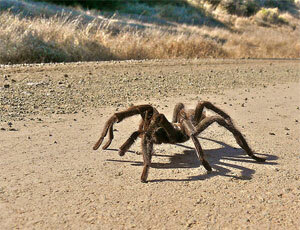 What do tarantulas have to do with pet sitters? Well, after a recent Google search, I can’t help but wonder if we as pet sitters are equally as misunderstood to the outside small business world.